My campaign to get an English Heritage blue plaque on the London home where Elizabeth Taylor was born. 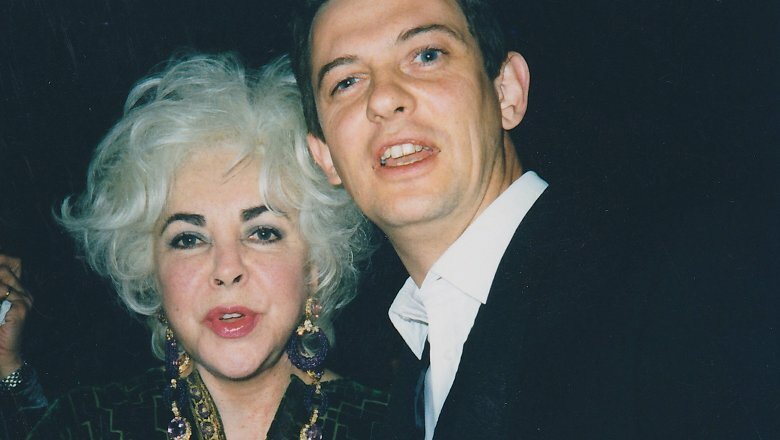 Meeting Elizabeth Taylor was one of the highlights of my career as a newspaper journalist. It all started in April 1999 at a press conference in London’s Dorchester Hotel ahead of that year’s BAFTA awards. Elizabeth gave me a long, cold stare before calling me a knucklehead in front of all my colleagues – in those days that was enough to become headline news in my column. What a night that turned out to be. I thought she’d be half-crazed, rude and stand-offish but Elizabeth was very charming, earthy, with no airs and graces. We talked about Richard Burton, her movies, her work dealing with HIV and AIDs. And we talked about her life in Britain before she moved to the USA. “She told me she was very proud of her Hampstead roots, but she wouldn’t move back to the UK because of the rabies laws in this country. She thought they were stupid, because she loved her dogs and wanted them to travel with her everywhere. And that’s what I’ve been trying to do ever since. But English Heritage insist the great and the good must have been dead for 20 years before they’ll consider erecting a blue plaque in their honour – although I’ve since discovered they do make exceptions: ballet dancer Dame Ninette de Valois got one just five years after her passing in 2001. The owners of the property in Hampstead Garden Suburb are happy for a plaque to be placed on the house and there are no cost implications for anyone as I’m more than happy to pay for the plaque myself but English Heritage remain inflexible. If we stuck with their intransigent thinking we’d still be driving around with a man in front of us waving a red flag.